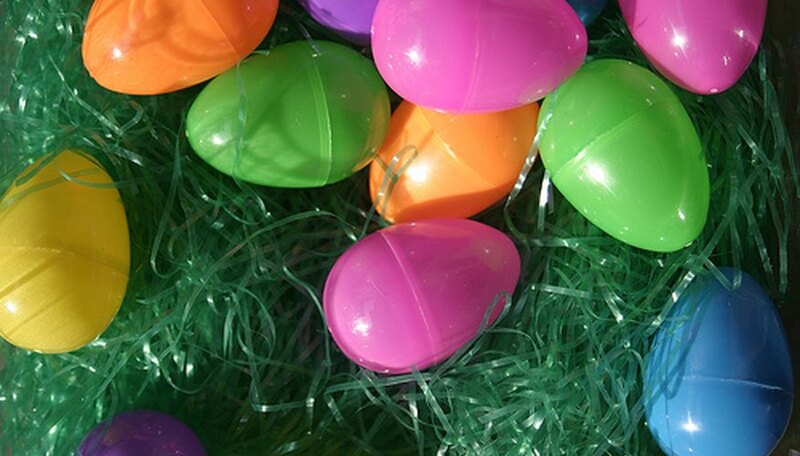 Although Easter is one of the two major Christian holidays, one of its biggest traditions, the Easter Egg Hunt, has nothing to do with Christianity. In fact, the Easter Bunny and Easter Eggs are linked to Pagan traditions. But however you look at it, the Easter Egg Hunt is a beloved event for kids everywhere. Here's how the tradition began. There wouldn't be an Easter Egg Hunt without the Easter Bunny, so to understand the origins of egg hunting, we must first look at why rabbits are associated with Easter. Known for their prolific procreating, rabbits have long been a symbol of fertility. In fact, rabbits were the sacred animal of the Saxon goddess of spring and fertility. According to the History Channel, the Easter Bunny legend started long ago in Germany with an egg-laying hare named "Osterhase." German children made nests and left them outside for the hare to lay her eggs in. The idea of an egg-laying rabbit might have started with the Romans, who believed that all life came from eggs. Another link between the rabbit and the egg comes from Pagan traditions, in which the rabbit was associated with the moon and the egg with the sun. On the spring equinox, when day and night are the same length, the rabbit and egg come together. Since ancient times, eggs have been seen as a symbol of new life for obvious reasons. They have been associated with Pagan spring festivals. Some believe that the egg might represent the stone that was rolled away from Christ's tomb, revealing his resurrection. Decorating eggs for Easter probably began in the 13th century, when eggs (in addition to meat) were forbidden during the Christian Lent season, which ends on Easter. To mark the end of the time of penance and fasting, people painted and decorated eggs before eating them. For centuries, parents emptied raw eggs and dyed the eggshells or dyed hard-boiled eggs for their children to find. Some also hand-painted the eggs with elaborate designs. Today, the colored egg has evolved into a plastic egg that you can hide a small treat inside. Another popular tradition is the Easter Egg Roll, where kids roll an egg across a lawn or down a hill. The famous White House Easter Egg Roll began in 1878. The White House hosted an Egg Hunt during the Nixon administration, but it didn't catch on and only lasted one year.